Originally built as a hacienda-style family home in 1912, the Westward Look Wyndham Grand Resort and Spa offers an upscale Southwestern experience with modern conveniences. Set on 80 acres of pristine Sonoran Desert, each of our thoughtfully-appointed guest rooms and suites offers a private balcony with breathtaking views of the surrounding Arizona landscape. Our full-service spa offers soothing treatments that incorporate natural desert botanicals with ancient remedies, allowing you to completely unwind. Boasting 16 meeting rooms and over 20,000 square feet of space, Westward Look Wyndham Grand provides a naturally refreshing meeting alternative to standard Tucson convention center hotels. For truly memorable Tucson weddings and special events, Westward Look Wyndham Grand provides picturesque ceremony and reception spaces enhanced by the natural beauty of Arizona’s Santa Catalina foothills. 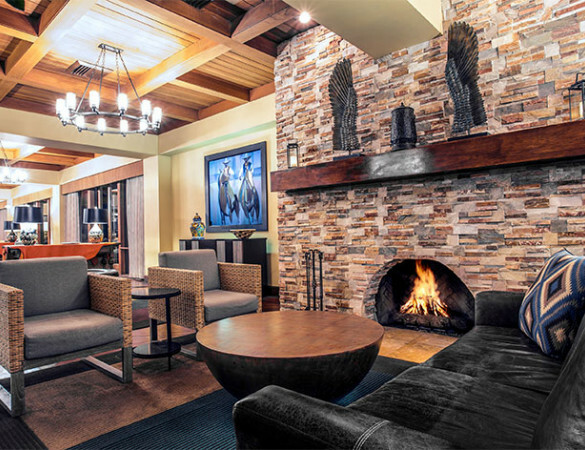 Enjoy the Southwestern flavors of Arizona and an extensive wine list at GOLD, opt for casual comfort foods and crafted cocktails at The Lookout Bar & Grille, or stay in and enjoy room service from the peaceful retreat of your guest room. Whether your interest is archeology, astronomy, Western history, or Native American arts, you’ll find plenty to do in Tucson within easy reach of our resort.